If there were any doubts that the DS version of Ni No Kuni was going to be something special, they can safely be put to rest. Ni No Kuni has perhaps the most interesting and unique peripheral ever to be integral to playing a game; a spell book. 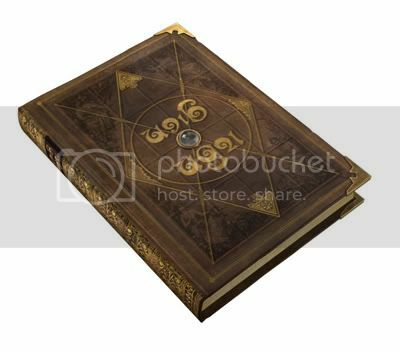 This isn’t a digital representation tucked away in an item menu – this is a real, full-sized, beautifully designed actualisation of a spell book, with a glass gem imbedded into its hardcover. Everything about it is exceptionally well crafted from the thick, tan coloured pages to the exquisite monster designs in the bestiary. For those harbouring the impression that this is simply the finest, and at several hundred pages in length, longest instruction manual in history, that misconception can also be dismissed. The spell book is an integral part of the experience, and yet just one of many impressive facets that Ni No Kuni showed off at TGS this year. There were two different demos available to try, but the first one was entirely story based. There were only brief moments in which you have direct control over the character and these were simply about guiding the protagonist, Oliver, to his destination with no exploration. I have no desire to spoil the opening of the game, but suffice to say I was both impressed and moved by just the first fifteen minutes of the game. Anyone who is familiar with Studio Ghibli will recognise their involvement immediately. The quality of the animation and voice acting are superb and both very distinctive of the work of the studio that gave the world Totoro. The cutscenes, of which there were many considering the length of the demo, were of the same quality as you would expect of one of their theatrical releases and for anyone who considers themselves a fan of the studio, this game is already something you cannot afford to miss. The music is well worth mentioning as it also shares the same level of quality, hardly surprising considering the involvement of Naoya Fujimaki; a musician who has worked extensively with both studios in the past. Whilst the DS has never been considered as being especially conducive to creating a cinematic experience, Ni No Kuni looks set to challenge those perceptions. The second demo contained a better indication of how the game plays, and of some of its unique elements. It starts off in a shanty town in a seaside resort area with Oliver, a female character called Marl, and your guide to the world Shizuku, a fairy with a lantern hanging from his nose. Ahead of you is what looks very much like a typical JRPG merchant. Upon talking to him though, he asks you to turn to page 61 of your book. It was at this point that I finally realised that the large book tethered to the table wasn’t merely a very elaborate way to prevent people from running away with the DS. Sure enough, by turning to page 61 I found a picture and description of what looks like a genie. By typing in the name of that genie, the man revealed his true form as that creature, which then lead to a battle ensuing. The combat system is fairly typical of a turn based RPG with you choosing actions for each of your three party members, displayed on the bottom screen, and then seeing those actions play out as you attack your foe, who is displayed on the upper screen. Party members have strengths and weaknesses relating to strength and magical abilities which use MP points. An interesting tactical twist is that the lower screen is actually a 3×3 grid and you are able to move your characters into different grid squares. Enemies have different attack patterns which affect a predefined area of the grid, so by carefully positioning your characters you can ensure that you receive only a minimal amount of damage. Although the combat system is hardly revolutionary, the events immediately following the fight gave some insights into the hidden depths of the game. First, not only your active party members get experience points, but also the unused collection of monster you have. There seems to be a monster collection system which allows you to capture or acquire enemy monsters to use in your party. These monsters have to be maintained as was demonstrated when the game switched to a mode not entirely dissimilar to Nintendogs. One of the creatures was unhappy and you could stroke, tickle or wash him in order to try and make him happy. As nope of these things worked I whipped him up a tasty treat by combining items in a magic pot, provided by the genie after he had been defeated, which cheered him up. It could be seen as unnecessary and irritating, but it also offers the chance of forming a tighter bond with your monster party members. The final point to make about the demo is Oliver’s ability to travel between the two worlds mentioned in the title through the use of his spell book. There is a menu screen in which you can draw symbols using the stylus to cast spells. These spells are found, naturally, in the spell book. 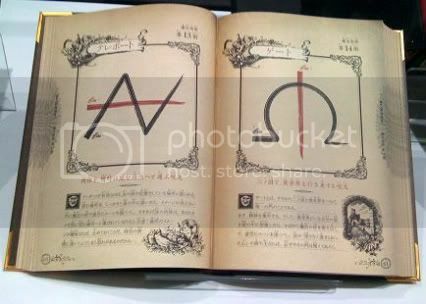 There are pages and pages of these spell symbols but in the demo, either because they were locked or because the character needs to learn them through the course of the game, all except one didn’t work. That spell though is the one that transports Oliver between his world, a Ghibli 16th Century European city version of Detroit, and the magical world in which cats and mankind co-exist as equals. It is fascinating to think of the potential ways in which this mechanic and plot device could be exploited by Level 5, and to what extent the two worlds are linked. It could be simply a way of acquiring new items in one world in order to progress in the other, or it could be something far deeper in which actions in one world affect the other as in A Link to the Past. It’s hard to convey just how much potential this game has, or even the massive variety of influences and different styles of game play it encompasses. Even in this build there were elements of not only Level 5 and Studio Ghibli, but also the monster collection of Pokemon, the maintenance of Nintendogs, the connected worlds of A Link to the Past as well as a deep and engaging RPG experience with item combining and upgrading. This game has everything. And on top of that it also has a book. 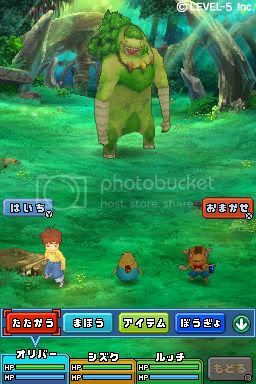 With all of the heritage and the pedigree involved in the making of this game it is clear that come December 9th, Ni No Kuni will give us some familiar things in a completely unique package.